Sarah Millspaugh is a Healthcare Consultant with Krieg DeVault's affiliate consulting firm, Integrity Health Strategies (www.integrityhealthstrategies.com). She provides consulting services to a variety of business, regulatory, and administrative matters. 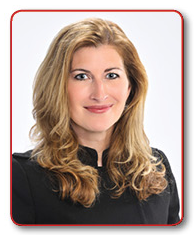 Prior to joining Integrity Health Strategies, Mrs. Millspaugh served as an attorney with Krieg DeVault LLP where she focused her practice on assisting hospitals, physician and dental practices, long term care providers, dialysis clinics and other health care providers to develop proactive risk-management and regulatory compliance strategies. Additonally, she advised health care providers and medical billing companies in a variety of complex insurance, business and real estate matters, and represented medical providers in business litigation, medical malpractice suits and administrative licensure proceedings. Mrs. Millspaugh also served as the director of risk management and compliance for a large multi-specialty physician group. She also managed Joint Commission compliance and provided risk management guidance for a major hospital system. In addition to her in-house experience, Mrs. Millspaugh spent much of her career in private practice, representing and counseling healthcare providers in medical malpractice suits, licensing actions, peer review proceedings, consumer complaints and business litigation, as well as real estate and lending transactions.